Episode 85 comes to us by way of DubCOliNG. Over 65 minutes of squishy, bubbly beats and bass served up with a side of turntablism and scratch technique. Showcasing his own music alongside selections from Tipper, Digital Rust and Kalya Scintilla, among others; we really feel like they stand out, with solid sound design and theme. He's surely an artist to watch in the near future. 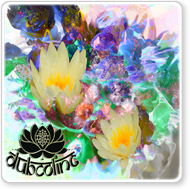 DubCOliNG thrives to spend every waking moment engulfed in rhythm and sound waves. Developing a passion for turntables while growing up in the Colorado Rocky Mountains, he spent several years perfecting the arts of scratching and turntablism. omfg....this is the most beautiful, lovely and intelligent piece of music i have heard in a while~ thank you!